Synopsis: Probationary Constable Peter Grant dreams of being a detective in London’s Metropolitan Police. Too bad his superior plans to assign him to the Case Progression Unit, where the biggest threat he’ll face is a paper cut. But Peter’s prospects change in the aftermath of a puzzling murder, where he gains exclusive information from an eyewitness who happens to be a ghost. Peter’s ability to speak with the lingering dead brings him to the attention of Detective Chief Inspector Thomas Nightingale, who investigates crimes involving magic and other manifestations of the uncanny. Now, as a wave of brutal and bizarre murders engulfs the city, Peter is plunged into a world where gods and goddesses mingle with mortals and a long-dead evil is making a comeback on a rising tide of magic. 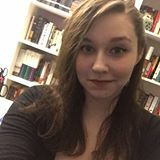 I am not typically a fan of the Urban Fantasy genre; I’m more of an Epic Fantasy girl – give me books the size of bricks that are stuffed with dragons, swords, and sorcery. However, I will make an exception for an Urban Fantasy series that is inventive, original, and action-packed. And that’s where the Peter Grant series comes in. 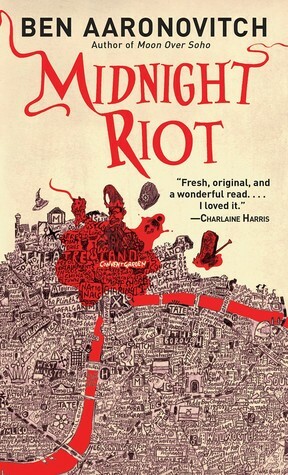 Midnight Riot is just the Urban Fantasy series I’ve been looking for. It’s funny, smart, and chock full of Harry Potter references. The main character is Peter Grant, a sarcastic, whip-smart police constable who discovers magic is real and starts training to be a wizard. Peter is so incredibly believable that sometimes I have to remind myself that he’s not a real person. Same goes for all the other characters in the book: all of them are fleshed out so well, even the most minor ones. And can we please talk about the female characters in this book? They are so well-written, it just blows my mind. Whether we’re talking about Lesley May, Beverly Brook or Mama Thames, they all have distinct, complicated personalities. None of them are just there to be simpering love interests. It’s incredible. See what I mean? Mmmm, Benedict Cumberbatch and Tom Hiddleston…. I’m sorry, what were we talking about? Oh yeah, back to the book. ‘Then why doesn’t everything seem different?’ she asked. The book is filled with so much history and detail but it never bogs the story down or feels irrelevant. The action is fast-paced but never clumsy or confusing. It is all written so vividly that it plays like a film in my head when I’m reading it (as good books are supposed to do.) This book needs to be a TV show. I highly recommend this book to fantasy fans, particularly fans of Harry Potter.